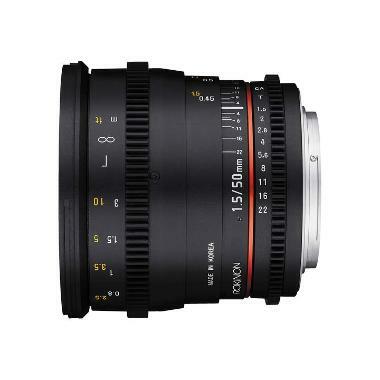 The Rokinon 50mm T1.5 DS Cine EF Mount Lens is a very fast, manual focus cinema prime designed for filmmakers. Focus and aperture control rings are outfitted with industry-standard gearing for use with an optional follow focus unit (rentable separately). The de-clicked aperture control ring enables smooth iris pulls and distance markings are printed on the lens barrel for convenience and precision. Internal focusing minimizes the affects of "breathing" and ensures a more consistent angle of view during focus adjustments. Multi-coatings improve light transmission and reduce ghosting and flare. Each of the lenses in this DS line have been specially tested for color matching so that you get consistent output across the entire collection. 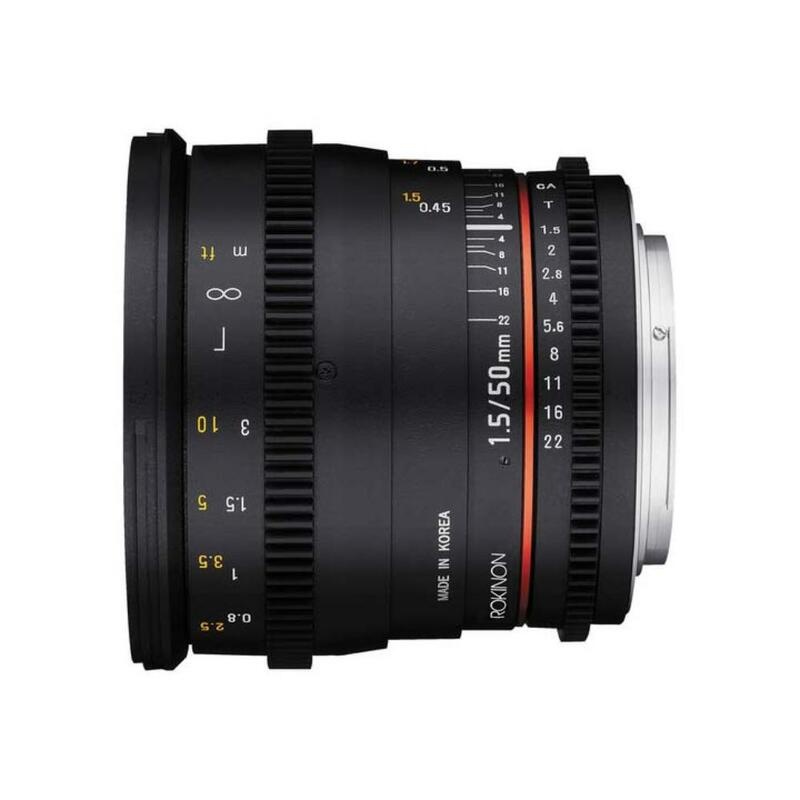 This lens is ideal for documentaries, narrative films, and any creative video projects.